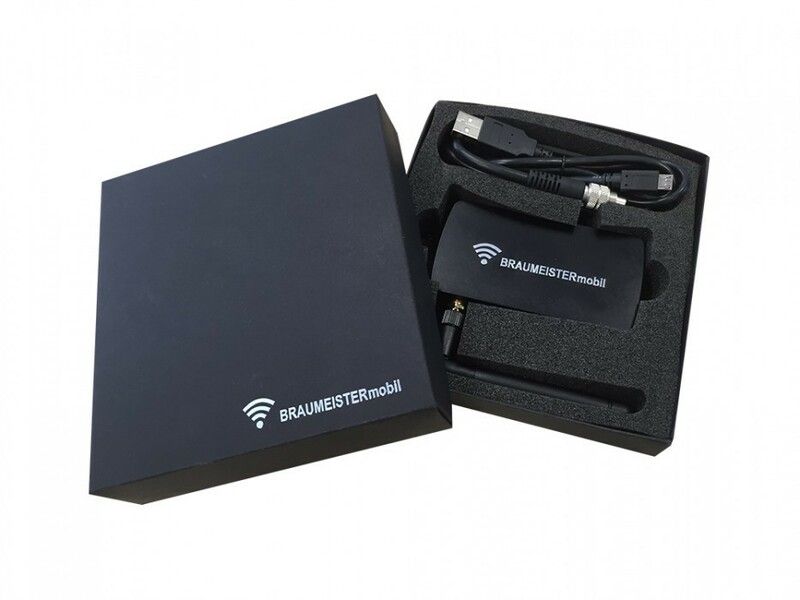 The wireless internet module BRAUMEISTERmobil is your ticket to MySpeidel. 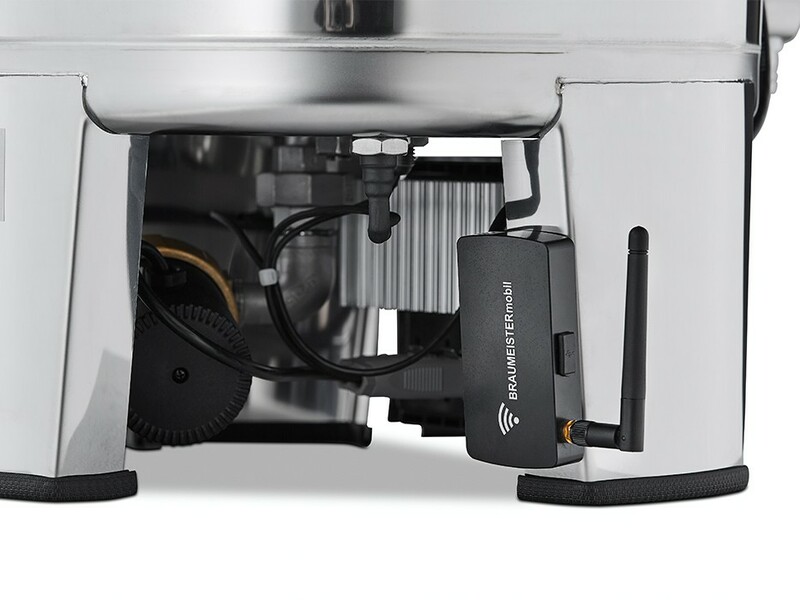 With this module you can sync your recipes with the Braumeister and also monitor and control him during the brewing process while you are logged in to you wireless internet connection. So while sitting on the couch, you know what is happening in the brewing kitchen. The module can be retrofitted for all Braumeister with the new control panel (since 2015). Just assemble the module to the device and connect it to the control. The power for the module is supplied by the Braumeister. Your delivery includes a mini USB cable. Thus the BRAUMEISTERmobil can also be used for updating to the newest firmware of the Braumeister.